Home > NFL > WRESTLING > Wrestling Wednesday > XFL > Welcome to the XFL! February 3 is a big day in professional sports history. It was first announced on February 3, 2000 that there would be a new professional football league entering all our lives, and on February 3, 2001 that league would play it's first game. What was that league? 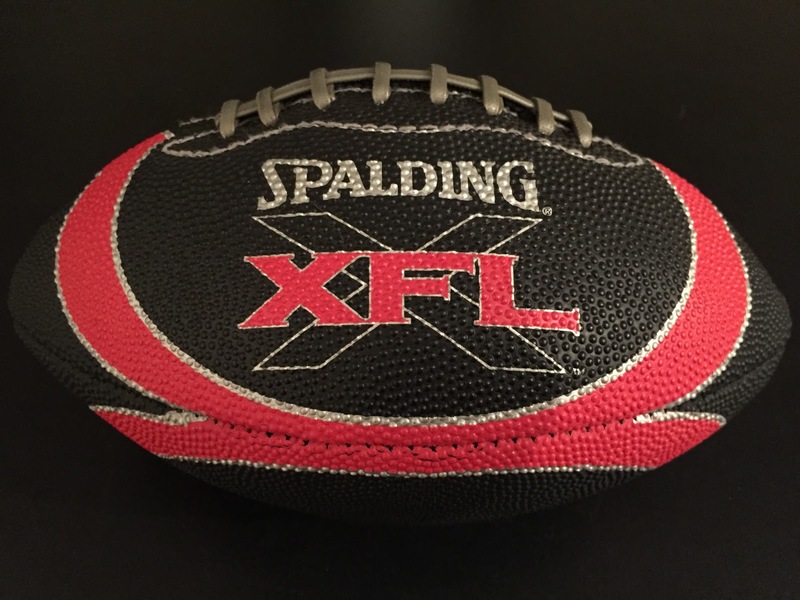 The one and only XFL! My XFL football is still proudly displayed. I have to admit that I was excited when I first heard the big announcement. Vince McMahon was starting his own football league? Sounds like a winner to me! At the time I was not a big fan of the NFL, but was a huge fan of the WWF. 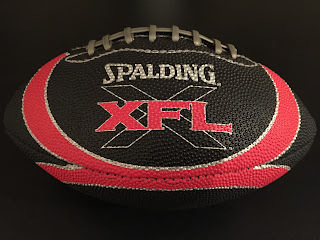 The XFL was promoted as a cross between professional wrestling and football with the best of both world combining into one "extra fun league". I was intrigued and wanted to be a part of it. 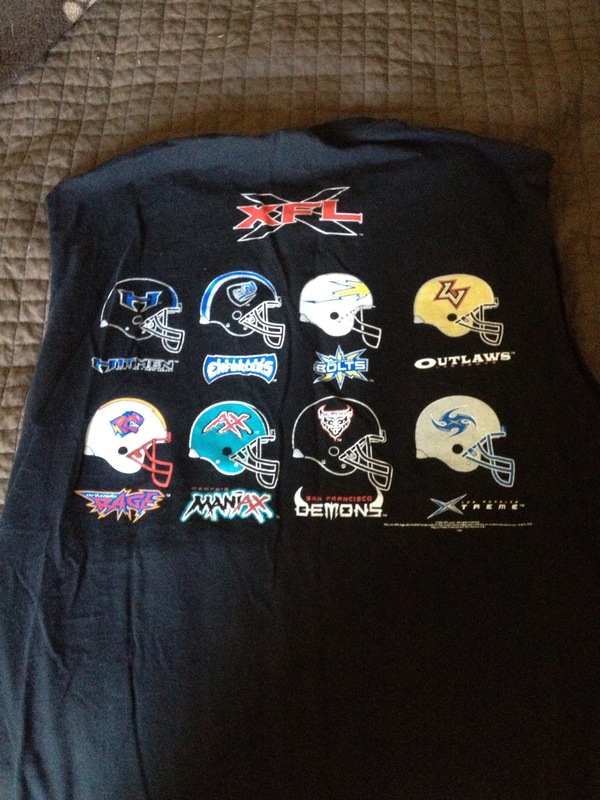 I got the XFL shirt, the XFL football, and I waited in anticipation for the first XFL game. No sleeves are needed with the XFL! 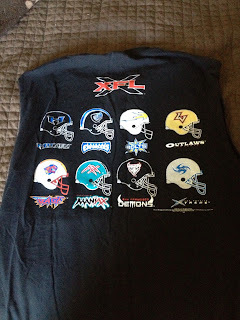 Back in 2001 before the season kicked off I had a friend at the time ask me on AIM if I was a fan of the NFL or the XFL? I said XFL all the way and he was shocked. Many people who were fans of the NFL did not want any part of the XFL, but I was on board and ready for the season to begin! The season kicked off on 2/3/01 to much fanfare. I remember being over at friends house and very excited as I waited for the games to begin. Instead of a normal coin toss to decide who gets the ball first they had one player from each team battle for possession of the football. Are you pumped up or what after watching that! If you have 2 and a half hours to kill you can watch the full debut game between the NY/NJ Hitmen and Las Vegas Outlaws below. While all the XFL mania started to tail off after the first week of the season and the league ultimately met it's demise after the conclusion of the "Millon Dollar Game", it's legacy will live on forever! 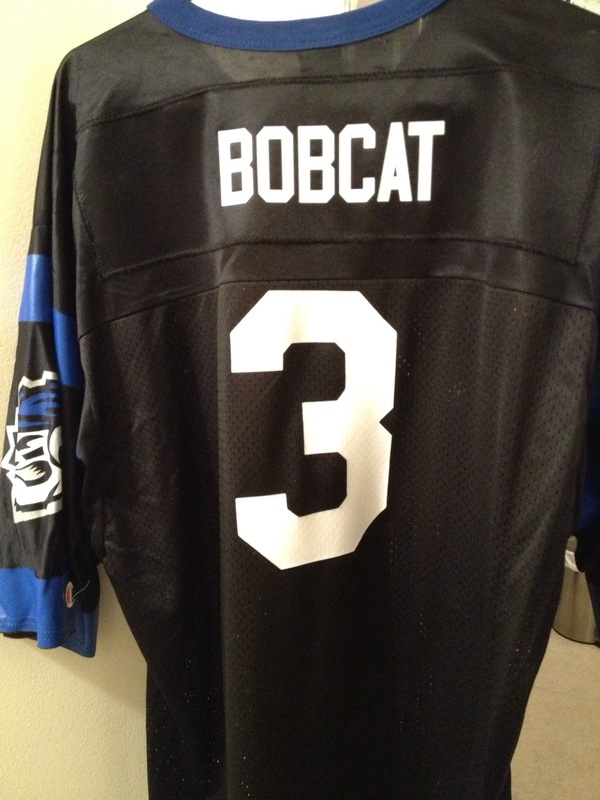 Who will ever forget "HE HATE ME" and my very own custom "BOBCAT" jersey! THIS IS THE XFL! Are you ready for Super Bowl 50? Tune in LIVE this Sunday at 11am ET for the BWB Super Bowl 50 Kickoff Show! Cheers!